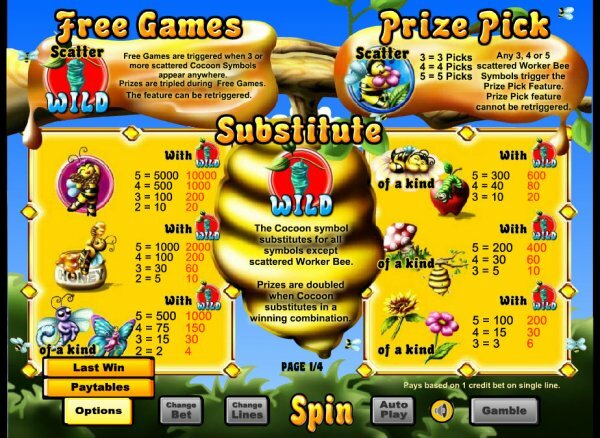 The bee hive is full of angry wasps waiting to steal your stakes, however there’re many friendly wasps who are very endearing and wanting to give you lots of free spins and lovely cash rewards. Match the symbols on this sweet 5 reel online slots game and you’re going to be absolutely buzzing, discover more. Eyecon manages to capture the players’ attention with their top-quality slot games, aiming to satisfy any type of interest through a diverse portfolio built over 20 years. They guarantee an enjoyable slots experience and dedicate themselves to bringing you high chances of multiplying your winnings, these being only a few of the reasons why they’re one of the leading companies in the slots industry. You can find out more here about Beez Kneez. 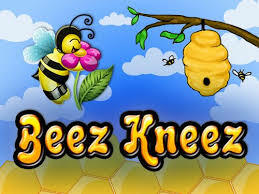 In Beez Kneez, your rewards are as sweet as honey, while the beautifully designed setting and friendly characters will keep you entertained and buzzing with joy. Enter the hive and see for yourself! To learn more about the promotions with no deposit slots, we have on offer here. Join the bees in this spring paradise and stroll around flowers and trees in the quest for honey. Don’t worry, they don’t sting, they only want to be your friends and introduce you to their hive, where rich possibilities lie. This slot game encourages you to get sticky with honey and attract all the wins, while enjoying the charming perfume of spring and its sunny skies. And if these cheery insects aren’t your type, there’re plenty of other characters you’ll get to meet, such as caterpillars, butterflies and dragonflies. You’ll soon wish to fly away with them too! Play slot games now! Beez Kneez centres around honey making and friendly nature in its 5 reels and 25 paylines, and you can be sure you’ll find some golden treasures in the comb. The cartoony insects and beautiful hive background graphics will sweeten you right away, while the easy gameplay will give you the freedom to sit back, relax, and let the little workers bring you rewards. You can bet any amount between £0.01 and £0.50 per line and the number of lines is adjustable to your heart’s desire. Don’t worry, there’s plenty of honey to go around, so long as you pay attention to the right symbols. Working Bees and Cocoons are your Scatters, ready to bring you winning combinations and double your prizes. Bonus features are hidden in the sweet golden nectar, and it is up to you to find them. 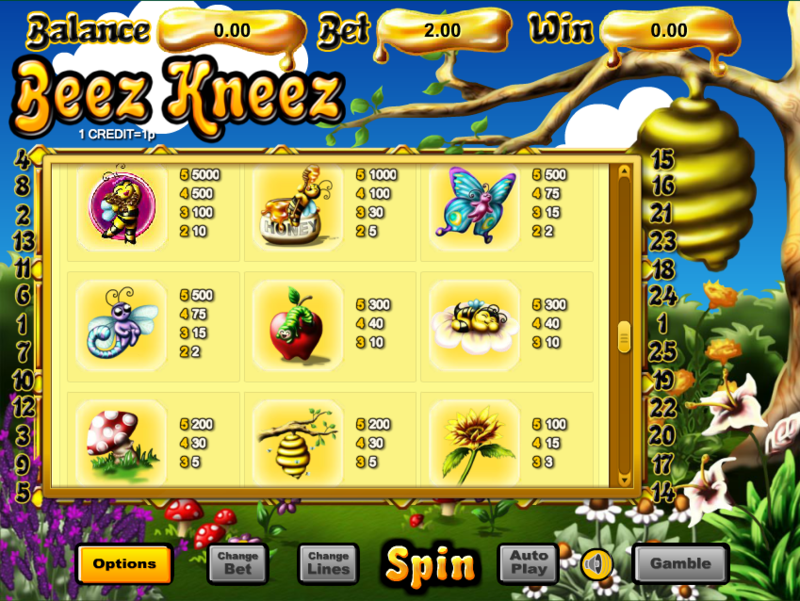 Spinning 3 or more Working Bees activates the Prize Pick Bonus, where you can win up to 100x your initial stake, by just picking flowers. Spin 3 or more Cocoons in a row and you can receive between 15 and 25 free games. If that weren’t enough to maximize your chances of winning, you can also choose the Gambler Feature, playing for double or nothing, for up to 5 spins. Be careful, though, this risky feature might sting! Get a free spins if you pay by phone slots. 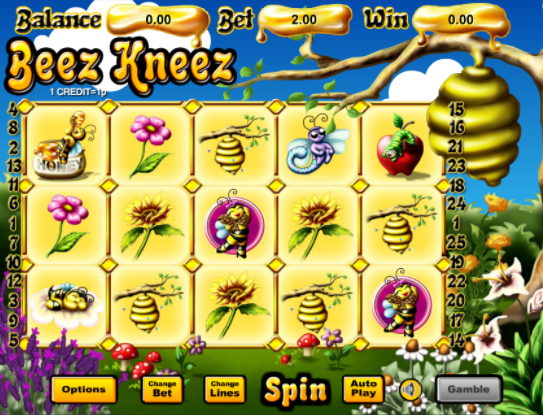 The Beez Kneez online slot game will satisfy your crave for the sweet things in life, while charming you with a happy atmosphere and sleek graphics. The bees are ready to welcome you into their hive anytime and work together so you can win! Beez Kneez encompasses the simple and sweet things in life, starting with honey and ending with winning. This online slot experience promises to match the high quality of a real-life casino, combined with easy gameplay and the cheerful vibe of cute insects. If you enjoyed Beez Kneez then you might also like Gem Rocks online slots game.